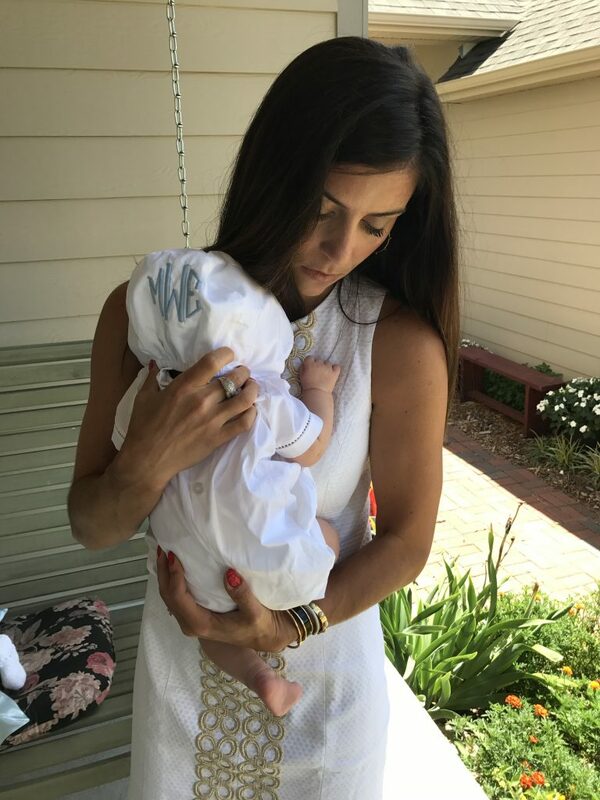 We were super excited when this popular blog writer of Pines & Palms reached out to us looking for a baptism outfit for her son. 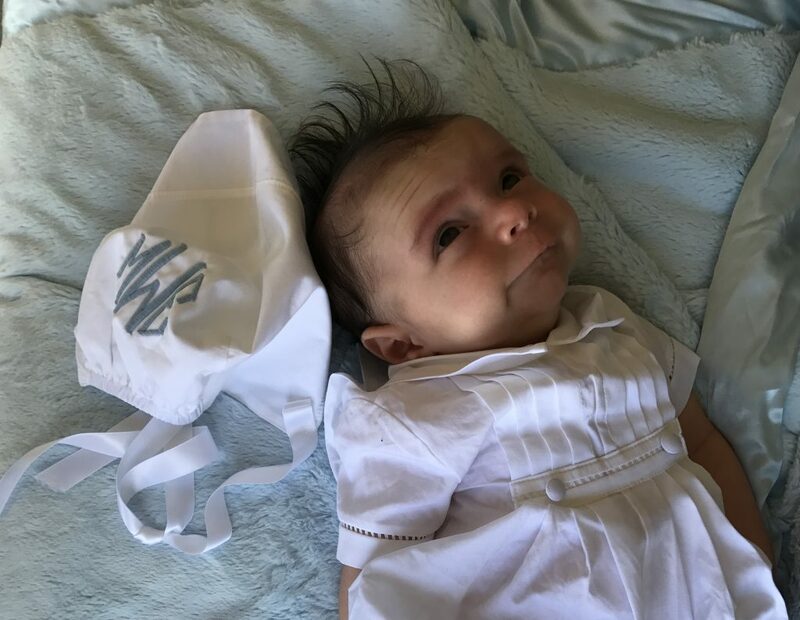 She chose our popular David Christening Outfit made with 100% broadcloth cotton and handsome pleating…complete with a Diamond Monogram. 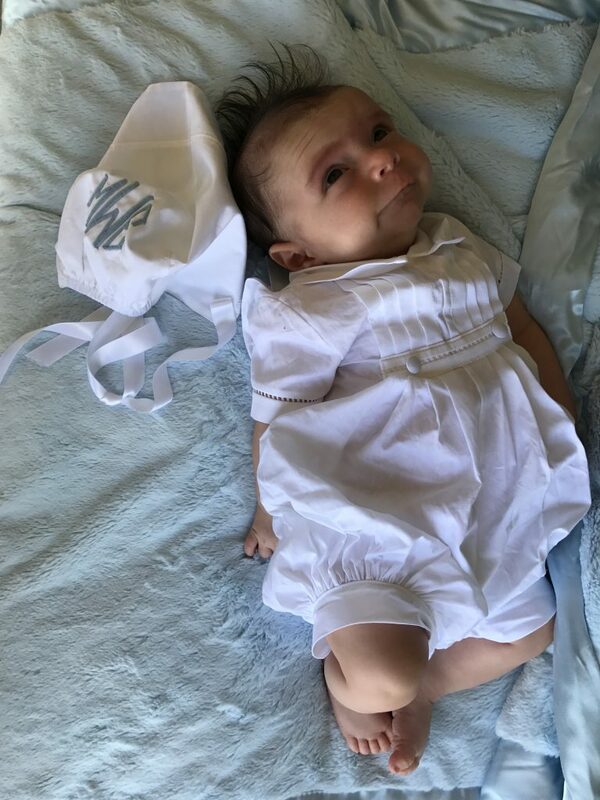 You can read all about how her little man’s big day went here. Thanks, Grace for letting One Small Child be a part of this special occasion.